Patrice Bonnafoux: Hi Joelle, thanks for accepting this interview. Your topic of interest is one of the most fascinating avenue of archaeological and anthropological research but it is also one of the most challenging. Prehistoric pigments! How/why did you get yourself in there? Joelle Nivens: Well, my interest in pigments actually came out of my interest and research into a completely different class of artifacts – beads. 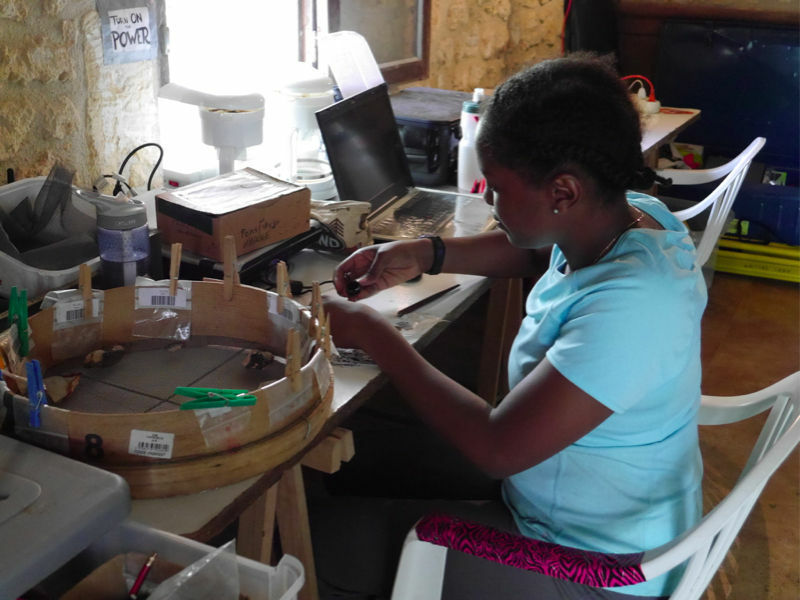 As an undergrad, I got involved in my professor’s ongoing project replicating a type of prehistoric bead known as basket-shaped beads using the same raw materials and tools as the original Upper Paleolithic bead makers. Participating in that project led me further and further down the rabbit hole of research questions over the next few years ­– “how did these prehistoric people make beads?” lead to “who made them?” ­– culminating in the dual realization that ‘pigments’ were integral to this groups’ bead making process and yet we know next to nothing about it’s use in this period. Patrice Bonnafoux: Knowing which pigments were used, what were the recipes, what were the original colours already gives a fantastic insight into prehistoric cultures, but clearly the thing that drives you is understanding the why. To put it differently, what can pigments tell us about ancient societies? Joelle Nivens: So it’s probably because of how I came to be researching ochre in the first place but the aspect of this technology, pigment processing and use, that really excites me is it’s use in a number of activities we tend to see as distinct and separate from our 21st century perspective. Bone tools, stone tools, beads, blocks, and rock walls have all been found with ochre stains. We can analyze these residues and know whether the same pigments were used on tools, beads, and artworks. In other words, we can begin to answer how were these activities related to each other. Were painting and bead making divided from tool making? What was the relationship between the people doing these activities? Patrice Bonnafoux: The idea of prehistoric pigments conjures images of Lascaux paintings which, in turn, raises the question of conservation. It's not like you can just go there and take some pigments for analysis, right? Pigments from the Upper Paleolithic are rare and delicate. So, how difficult is it to work on such (scientifically) precious things? What are the main challenges you faced in your project? Joelle Nivens: As far as access, yeah, it isn’t impossible to get curators on board for destructive sampling but its pretty darn close. Even with recent advances in non-destructive analyses, you basically have to be a very well established "Big Kahuna" to even ask to analyze the major cave paintings. There is always, after all, a better, less destructive technique on the horizon so curators are smart to severely restrict destructive analyses. Beyond access, though, (barring special circumstances like the delicate environment of deep painted caves) pigments are relatively resilient. The primary problems I’ve encountered in my research stem from excavators’ recovery techniques and biases. As these minerals are usually medium hard to soft, dynamite, backhoes, filed screwdrivers, and other, let’s say, ‘invasive’ excavation tools tend to obliterate any prehistoric use wear or tool traces left on the pigments’ surfaces. Additionally, they aren’t the types of materials that can be used to define an industry or place an assemblage within the local chronology. So, in the transition from the field to the museum, coloring materials didn’t always make the cut and aren’t really first priority to locate if lost. I once arrived at a very prestigious museum to study a collection of pigment that though listed in the catalog had disappeared in the intervening 20 years. Patrice Bonnafoux: Your PhD project focuses on the Early Upper Paleolithic (about 40,000 yrs ago) exploitation of mineral colorants. What cultural period are we talking about? Is your work centered on a particular region? Joelle Nivens: My PhD project studies colorant exploitation in a period of the Upper Paleolithic known as the Aurignacian. 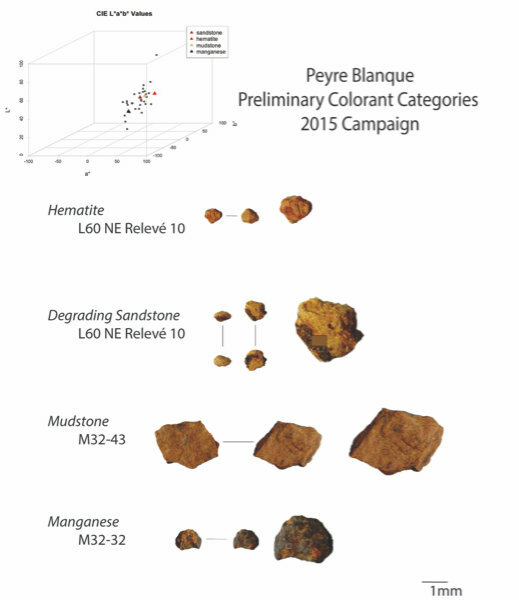 Specifically, I analyze the colorant and colorant stained objects found in Early Aurignacian levels of sites in the Vézère River Valley, an area of Southwest France renowned for its incredible concentration of Paleolithic sites. 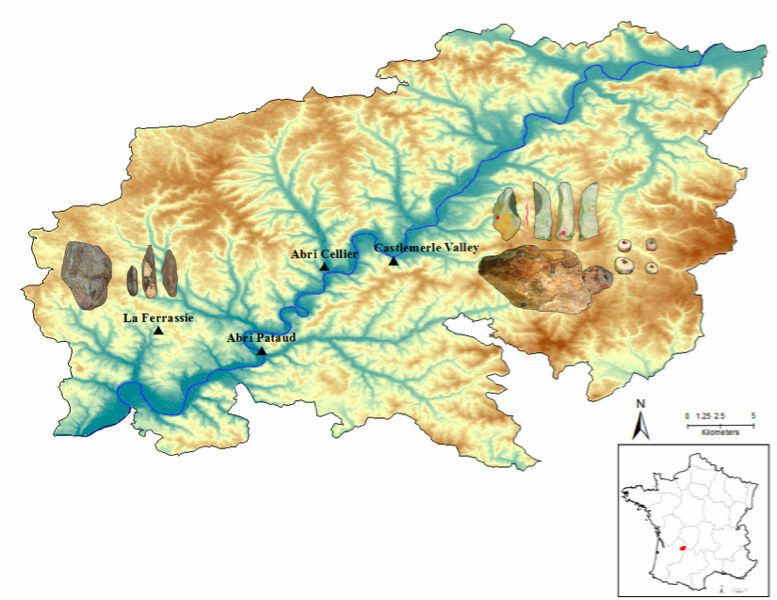 Note: The Vézère Valley is famed for its prehistoric cave systems, containing numerous cave paintings and hominid remains. UNESCO collectively designated these a World Heritage Site in 1979. Among the sites with remarkable caves is Lascaux. Patrice Bonnafoux: Can you tell us more about your dissertation project? Joelle Nivens: So as I said above, colorant exploitation stood out to me as a rare linking technology or one that connects activities and artifact classes traditionally studied in isolation. In the Vézère Valley Aurignacian sites I study, for example, traces of ochre are found on end scrapers, a stone tool associated with working hides, and polished beads. My research seeks to understand which colorants were brought into the site and how they found their way onto stone tools and beads. By also analyzing the residues on other “end products”, I hope to see if there are any overlaps in the activities in which these products were involved. Some work at the forefront of my mind are Randall White and Claire Heckel’s hypotheses that craft specialists produced Aurignacian beads; I’d particularly like to see if this task was really as isolated from other, more quotidian activities as we think. Patrice Bonnafoux: How does your collaboration with Peyre Blanque Archaeological Project align with your research? Joelle Nivens: Collaborating with the PB project allows me to hone analytical techniques while broadening my perspectives on Upper Paleolithic colorant exploitation. PB is rare in that excavations at the site began with a sensitivity to pigment materials as possible connections to the region’s many painted caves. So working with the team this summer has already produced invaluable discussions into best practices for recovering and processing colorant artifacts. 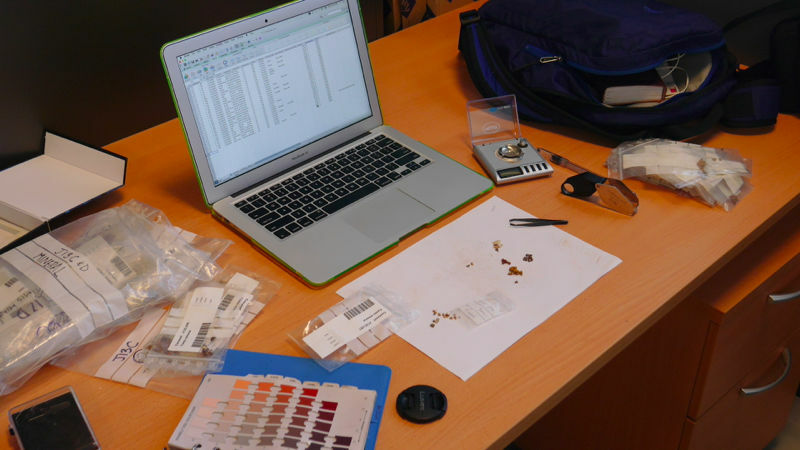 Similarly, the ongoing excavations are an opportunity to test out how some of my analytical methods could translate from the museum to the field- turns out creating a database of detailed petrological descriptions is a little trickier when you’ve got to keep up with the excavation! As an open-air, Late Upper Paleolithic site, PB is basically way at the other end of the spectrum from my dissertation study sites. Working with the same materials recovered from such different contexts raises new and exciting questions I would’ve otherwise overlooked. For example, the atypically high proportion of black pigments at PB led me to rethink an analysis of pigments from one of my study sites. I’d spent a lot of time thinking about red ochre at this study site because that’s what most of the literature focused on and red dominated the colorant assemblage. After working at PB, I started investigating whether the patterns I saw in the red materials were consistent with the black ones. The patterns were completely different and I would’ve have missed it if not for PB. Patrice Bonnafoux: What potential for research do you see at Peyre Blanque regarding pigments and what are you planning on doing with the Peyre Blanque material? Joelle Nivens: Meg Conkey and Philippe Walter have already done so much with PB’s pigments, particularly in terms of their relationship to painted caves. I hope to add some more details to buttress these discussions, specifically information we tend to ask more of stone tools than pigments. First on the agenda is determining the full range of geomaterials present, that is to say the different kinds of raw pigment materials brought into the site many of whom are the same color but derive from different geological environments. These materials often have different physical properties that would produce really different results when used in non-painting activities like treating hides or polishing beads. Another task on the agenda is trying to identify signs of chemical alteration, especially heat treatment. Aside from the spectacular and enigmatic stone structure, PB hasn’t yet produced more common features like hearths. In this context, I’d love to see if some of these red and black materials we find have been heat-treated. Patrice Bonnafoux: Peyre Blanque Archaeological Project and, before it, Meg Conkey's "Between the Caves" have been grounds where diversity has always been promoted but we have to admit that archaeology is still an industry dominated by white males. How is it for a black woman to step into the box? Joelle Nivens: Yeah, one look at the sea of white male faces at conferences and on faculty webpages and its pretty obvious that archaeology and above all Paleolithic Archaeology has a diversity problem. For me, navigating this field with an absolute dearth of role models (Kathleen Sterling PB’s co-director is a solitary exception here!) has been the most challenging. Every grad student suffers from at least a little Imposter’s Syndrome, that overwhelming sensation that you don’t belong in academia or that someone is going to notice that you are a total fraud who only read the introduction to that article that one day. When it strikes, my peers can turn to professors or mentors with whom they identify and say, “well they’re like me, they did it, and so can I”. When I look around campus there isn’t a single person who looks like me who’s doing what I’m doing. It takes a lot of energy to then ignore the old toxic, limiting internalized narratives that this field isn’t for black people, that black people can and should only to study Black Issues (slavery, racism, civil rights, etc. ), that the Paleolithic isn’t my story to help tell. I do feel, though, that mechanisms are being put in place that will over time address these challenges. Funding agencies, at least in the US, have been really great about forcing applicants to consider how their work addresses issues of structural discrimination and representation; such conventions are a crucial first step to seriously addressing those issues in practice. 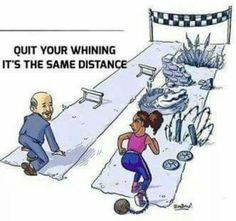 Similarly, there a number of student-driven movements on US college campuses that are bringing these issues to the fore and holding university administration accountable for correcting them – because these challenges aren’t unique to archaeology at all but a higher education-wide problem. 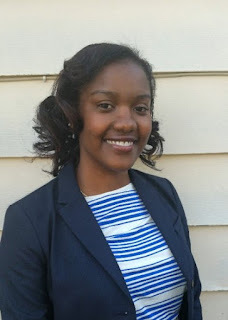 In the meantime, I stamp out those well-worn insecurities by focusing on the fact that once upon a time there was only Kathleen, and now there’s Kathleen and I, we black female Paleolithicists are trending up! Plus, Our archaeological forefathers had no problem casting their white, male, often colonial gaze all about the place, so it’s probably very healthy for our discipline to have black, female descendants of colonial subjects gazing upon those European roots. After all, isn’t the very beauty of academia that, through training and study, I, too, can contribute to these questions of who we humans are and have been, even if my personal story probably doesn’t begin in southwestern France? Joelle Nivens is a PhD student in Anthropology at NYU. Her research focuses on the Early Upper Paleolithic exploitation of mineral colorants. She primarily explores the ways in which the preparation and use of iron oxides link multiple activities- symbolic and quotidian (flint-knapping, ornament production, parietal art, hide-working) - within and between archaeological sites. 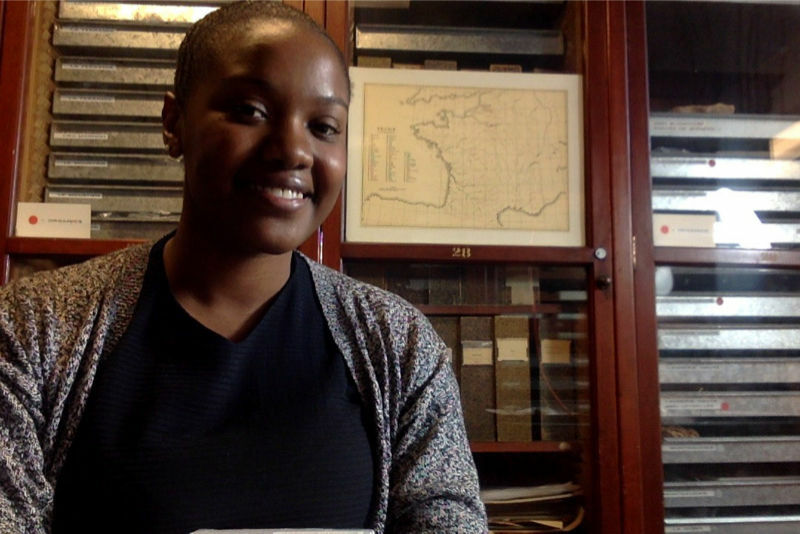 In spring 2015, Joelle was a visiting CIRHUS (Center for International Research in the Humanities and Social Sciences) fellow at the Laboratoire d’Archéologie Moleculaire et Structurale of the Université Pierre et Marie Curie in Paris .